A silk hand-made kimono, a work of art that is not only to be seen but worn as well. 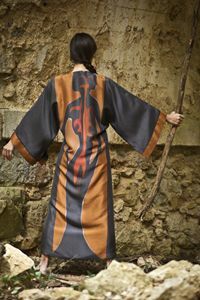 It is based on an original digital painting, "The Heart and the Soul", which was digitally printed on 100% natural silk and turned into a fashionable piece of garment, hand-made and unique as all the works of art are. It is a dress that no one else can have but you! A grey and orange kimono made of 100% natural silk digitally printed, hand-made, brand new and unique. 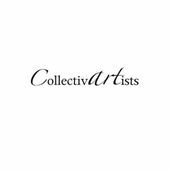 Collectivartists is a group of artists of different specialties driven all by the same ambition: to make art that can be worn by modern and sophisticated women who want to feel unique and special. It all began with a woman. She was the inspiration of a series of paintings that became a collection of clothes. 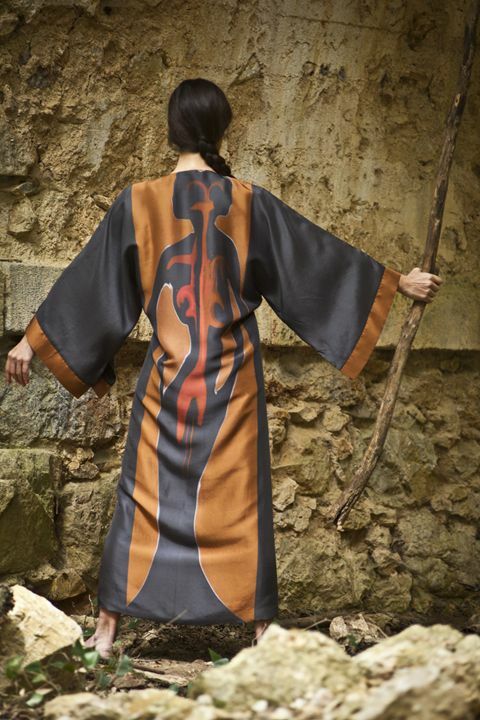 Every piece of clothing is unique and based on an original painting, that inspires the designer to create an exclusive, hand-made garment that aims to bring beauty and a sense of uniqueness to a woman’s life. All the garments are made of 100% natural silk of the best quality, have the name of the original painting given by the artist.